Joe Scarborough has been branded a turncoat by some in the GOP for taking on extremists. 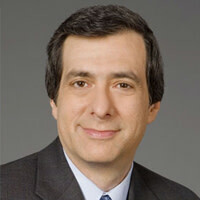 But the Giffords shooting shows he was right in calling for calm, the Morning Joe host tells Howard Kurtz. Joe Scarborough was back in Washington, where he cheerfully admits he was a “bomb-thrower” of a congressman, using his privileges to walk onto the House floor for John Boehner’s swearing-in. But Scarborough, who has begun to muse about running for office again, has become something of a scold toward his party, preaching like a reformed alcoholic that the Republicans shouldn’t make the mistakes that he and his fellow rebels did when they were savaging Bill Clinton. Scarborough’s evolution from fiery Pensacola politician to television personality touting the virtues of civility says a great deal about how polarized both the capital and cable news have grown in the last decade. In taking on the likes of Sarah Palin, Scarborough has been branded a turncoat by some in the GOP. In rejecting the shouting-heads format, he has separated himself from the reigning ethos of his liberal network. And in dominating what has become the breakfast salon of the Beltway elite, he has been accused of sexism toward co-host Mika Brzezinski. The shooting of Gabrielle Giffords and 19 other people in Tucson left Scarborough shaken—and his wife, Susan, in tears—but added resonance to the message he has been peddling. “Nobody can find a direct link to a Sarah Palin ad or a Michele Bachmann statement or the extreme rants from the left,” he says. “But it serves as a very clear warning to everyone involved in politics that there are unbalanced people out there who may seize on any words they hear and the consequences may be devastating. Oddly enough, Scarborough refuses to acknowledge that the GOP center of gravity has moved to the right, which seems beyond dispute. Perhaps he views the Tea Party movement as an echo of his renegade brand of politics in the Gingrich House. But his gang eventually compromised with Clinton on a balanced budget and welfare reform, and Scarborough says he’s since had “several great talks” with the former president, who invariably thanks him for being fair to Hillary in 2008. He had to deal with a different kind of woman when he pushed Brzezinski, a longtime CBS News correspondent, for the morning program he launched in 2007. “NBC didn’t want her on the show,” Scarborough says, deeming it a bad fit. Scarborough says they have gotten into heated arguments twice—over the Bush administration’s interrogation of terror suspects and a Michelle Obama campaign speech—continuing the debate off the air. “Debate’s a nice way to put it,” she says. “We’re not Zen about this stuff,” he says. “It’s easier to scream, actually,” she says. Scarborough, who occasionally slips into rants, basically drives the televised conversation and interrogates the guests, needling Brzezinski and sometimes trampling her in the process. A recent New Republic article titled “The Sexism of Morning Joe” complained that “Brzezinski seems to have settled into a deferential role,” her dissents reduced to little more than “eye-rolling.” Brzezinski isn’t reticent about responding. Brzezinski views the show as an “island” amid the cable craziness, and Scarborough admits that cable contributes to the hyperpartisan talk he decries—but declines to discuss specifics or whether his network is a prime offender. There are, apparently, limits to his candor. Morning Joe beat CNN’s American Morning for the first time in 2010, 387,000 viewers to 310,000, though both are far behind Fox & Friends and its more than 1 million viewers. The show has become a regular stop for administration officials, members of Congress, and such journalists as Mark Halperin, Jon Meacham, Peggy Noonan, and Bob Woodward (and Daily Beast Editor in Chief Tina Brown). So why would Scarborough flirt with the idea of giving up such a platform? That, however, was a decade ago. Scarborough, who rails against the likes of Glenn Beck and occasionally says nice things about President Obama, could find himself out of step with today’s GOP culture if he ventures back into the arena.